Since it’s inception in 2001 the Minnesota State High School Clay Target League has worked closely with the Minnesota State High School League (MSHSL) by adopting similar rules, regulations, and operations. One of the MSHSL’s goals has been to explore the potential assimilation of education-based competitions in MSHSL initiatives that will enhance academic opportunities for students and in MSHSL member school communities. 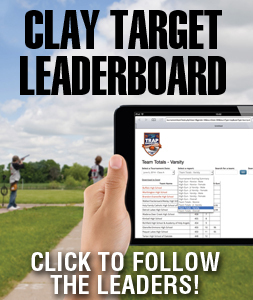 With the continuing success of the clay target league, the MSHSL has recognized that the clay target league is a viable alliance to help achieve this goal. On December 6, 2013 the MSHSL board of directors approved the presenting partnership of a single-day trapshooting State Tournament that occurred in June of 2014 at the Minneapolis Gun Club in Prior Lake, Minnesota. The State Tournament provides an opportunity for the highest qualifying individual and team achievers from the clay target league to compete for the ultimate recognition as state champions from the Minnesota State High School League. 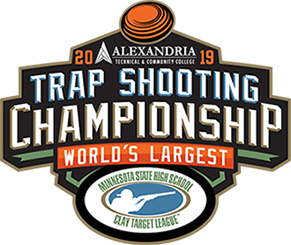 With this State Tournament, the MSHSL is the first and only state high school interscholastic athletic association in America to provide support and recognition for trapshooting as a high school sport. The team qualifications will be determined at the 2017 Minnesota State High School Clay Target League’s Championship, June 12-20 in Alexandria, Minnesota. The top finishing teams (Junior Varsity and Varsity Classifications) per each Class (A, AA, AAA, AAAA, AAAAA) from the Championship will qualify. Overall, 30+ teams will qualify for the State Tournament. The number of qualifying teams will be determined by the total number of conferences in the clay target league. State Tournament teams will be comprised of five student athletes and two alternates as determined by the head coach of the team. 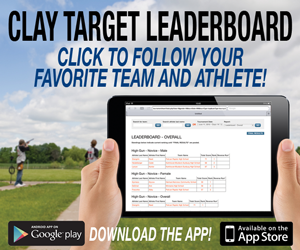 Qualifying individual student athletes for the State Tournament will include the top 100 (including ties) athletes as determined by the Minnesota State High School Clay Target League’s final regular season average score. Individuals must compete and submit scores in all five competition weeks to qualify. Qualifications are subject to change. Visit the League’s State Tournament website for more information.